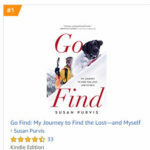 Susan Purvis is an explorer, educator and author of the bestselling outdoor adventure memoir, Go Find. 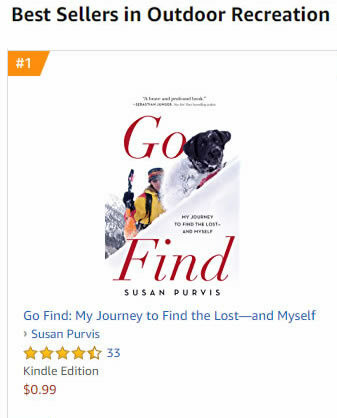 Susan spent two decades training avalanche dogs, search dogs, cadaver dogs while perfecting her craft in wilderness survival, K9 dog training and Search and Rescue training. Go Find is a rare find if you are searching for avalanche books or survival books or anything between pet care and mountain climbing. 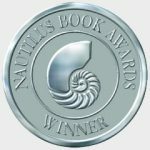 Somewhere between hunting for gold in Latin America as a geologist and marriage to a new husband, 33-year-old Susan Purvis loses her way. As the first female team in a male-dominated search and rescue community, they face resistance at every turn. They won’t get paid even a bag of kibble for their efforts, yet they launch dozens of missions to rescue the missing or recover the remains of victims of nature and crime. K9 training with Tasha in the field to find, recover and rescue the lost became Susan’s passion. But it was also her circumstance—she was in many ways as lost as anyone she ever pulled out of an avalanche or found huddled in the woods. “Lostness” doesn’t only apply to losing the trail. People can get lost in a relationship, a business or a life. Susan was convinced that only happened to other people until Tasha and a life in the mountains taught her otherwise. Susan Purvis saves lives and teaches others to do the same. Susan Purvis is a Lead Instructor with Wilderness Medical Associates and the American Institute for Avalanche Research and Education (AIARE). She is a professional member of the American Avalanche Association (AAA), the Explorers Club, Wilderness Medical Society and ex Mountain Rescue Association member. Susan’s love for outdoor adventure and wilderness medicine has taken her to the hottest, coldest, and highest places on earth: Ethiopia, Antarctica, and Nepal. 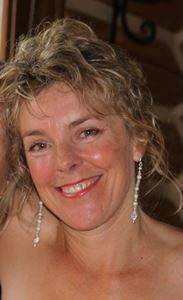 As a wilderness medicine specialist and extraordinary speaker, Susan has worked on film sets for National Geographic Channel, truTV, appeared on the science documentary, The Hottest Place on Earth, aired on the BBC and Discovery. She’s been featured or quoted in the Wall Street Journal, Smithsonian, on CNN, television, numerous magazines, and newspaper articles. An explorer by passion, Susan combines wilderness medicine, desert survival, exploration geology, and K9 training to land jobs on all seven continents. She teaches high altitude medicine for the local Mount Kilimanjaro and Mount Everest Guides. Susan has served as a medic at a remote field camp and ice breaker in Antarctica, explored for gold in the Dominican Republic and produced a documentary in the Amazon jungle. Susan also spent a decade working at an urgent care ski clinic in Crested Butte where she also worked as a professional ski patroller, guide, K9 avalanche expert and search and rescue member. Susan was named a brand Ambassador for Marmot and received Congressional Recognition for her role in avalanche search and rescue. When Susan is not teaching you can find her skiing Colorado powder, training avalanche dogs and search dogs, boating on the cold, clear rivers in northern Montana. Go Find is her first book. Sierra Club lists GO FIND as top 15 best reads.